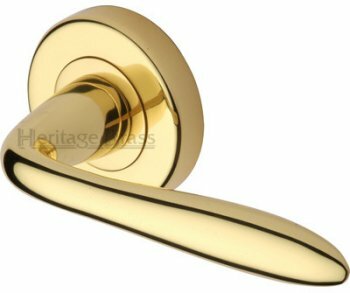 Solid brass Sutton door handles on 53mm diameter back rose. Lever length 116mm, projection 59mm. Available in Polished Brass, Polished Chrome, Satin Nickel, Antique Brass & Satin Brass finish.